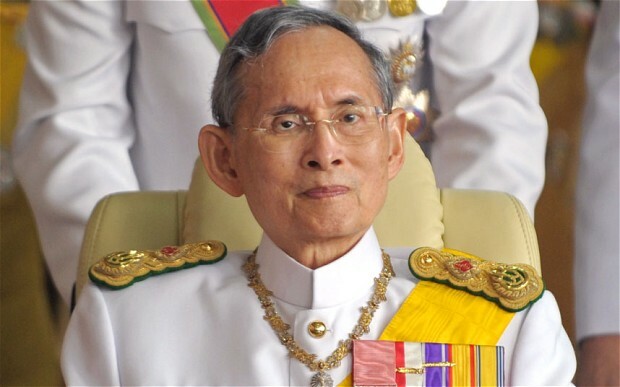 Thailand's venerated King Bhumibol Adulyadej, the world's longest-reigning monarch, has died at the age of 88, the Royal Palace announced. King Bhumibol passed away at Bangkok's Siriraj hospital on 13th October. The palace did not give a reason for his death. "His Majesty has passed away at Siriraj Hospital peacefully," a statement said, adding he died at 15:52 (0852 GMT). He was seen as a stabilising figure in a country hit by cycles of political turmoil and multiple coups. Crown Prince Maha Vajiralongkorn will be the new monarch, the prime minister has said. In a televised address to the nation, Prayut Chan-ocha said Thailand would hold a one-year mourning period and that all entertainment functions must be "toned down" for a month. Describing the king's death as "the most devastating moment for Thais", the prime minister said: "He is now in heaven and may be looking over Thai citizens from there."